Deason and Oates discussed the find excitedly, but in hushed tones. The nugget had to be safely put away before word got out. They waited until sunset, and under the cover of darkness, Deason and Oates dug out the gold and carried it to Deason's hut where it was placed in the fire to burn away the debris and break the black quartz that coated the gold. The nugget was fired all weekend, and on Monday morning, about 70 lbs. of the black quartz that had broken away from the main nugget was taken to be treated at a local stamper, and 60 ounces of gold was recovered from this crushing. The remaining nugget was taken to Dunolly, 9 miles away, on a cart hidden under Mrs. Deasons skirt. In Dunolly, Deason and Oates took the nugget straight to the bank; they wanted to get it off their hands as soon as possible before they got robbed by bushrangers. Unfortunately, the nugget—now called “Welcome Stranger”— was too large to weigh on the banks scales, and had to taken in a wheelbarrow to the local blacksmith where it was broken down into three manageable chunks. Sixty-six kilograms were sold to the bank, and the rest Deason and Oates kept for themselves. There are different reports on the nugget’s actual weight, but the most commonly citied figure is 72 kg. A replica of Welcome Stranger. 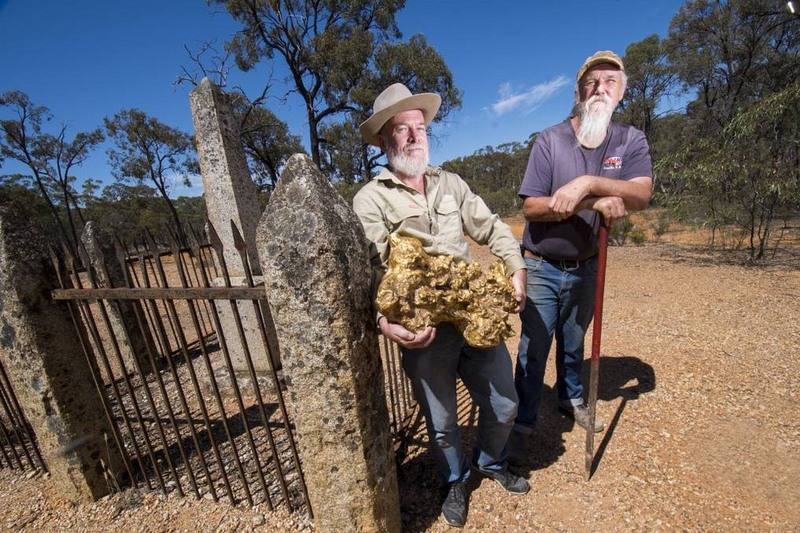 The bank paid £9,563 pounds for the nugget, which according to John Tully, president of the Goldfields Historical and Arts Society at Dunolly, was equivalent to an average working man’s wages for 43 years. After the find, Deason continued with gold mining and eventually became a store keeper at Moliagal. He lost most of his wealth due to bad investment. He bought a small farm near Moliagal, and spent his last days as a farmer. Oates, meanwhile, returned to England and got married. He came back to Australia, had four children, and passed the rest of his life in his 800-acre farm until his death. 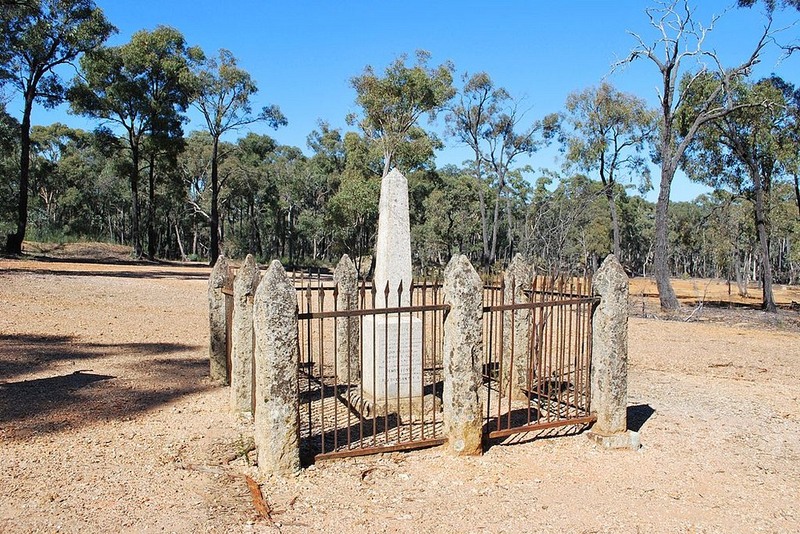 The memory of the find is kept alive by a granite obelisk at the spot where Welcome Stranger was discovered in 1869. The memorial is located near Moliagul. 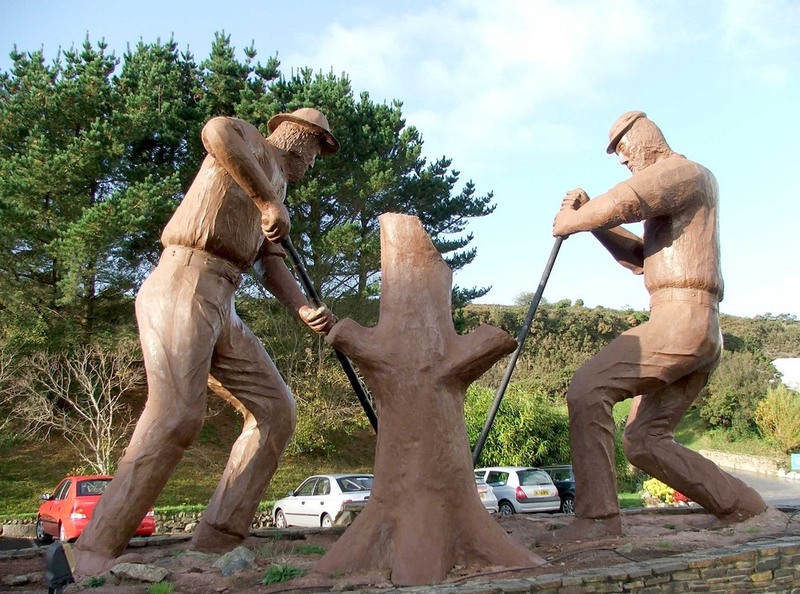 There is another memorial in Dunolly, and a statue depicting two miners digging up Welcome Stranger in the middle of a parking lot in Redruth, England. On the occasion of the 150th anniversary of the find, descendants of Deason and Oates gathered at Moliagul on February 5, 2019, and reenacted the photos taken by the finders along with their family members. During the Victorian gold rush, Moliagul was a booming town with a population of 16,000 and eleven pubs. Nowadays it is largely a farming community, with only a handful of houses, but gold speculators are still drawn to the area, known as the Golden Triangle. This region, encompassing 9,400 square kilometers, has produced some of the greatest alluvial gold nugget finds in the world. 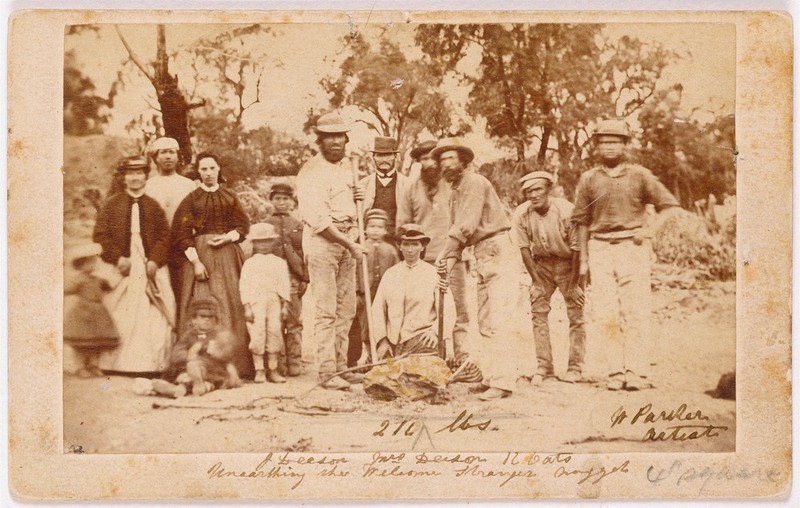 In a place called Canadian Gully, in Ballarat, miners found three large nuggets weighing 61 kg, 42 kg, and 38 kg, in 1853. Eighteen months later, a group of nine miners found Lady Hotham, weighing 44 kg. Then, in 1858, a 69-kg nugget, dubbed “Welcome Nugget” was discovered, also in Ballarat. 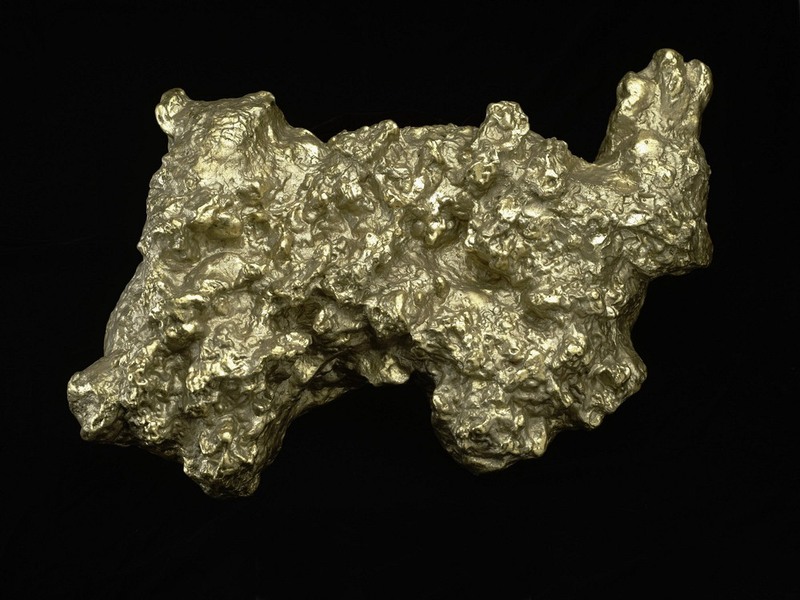 It remains the second largest gold nugget ever found. Official records show that over 1,300 nuggets of 20 ounces (500 grams) or more were taken from Victorian gold fields. Of these, 400 exceeded 100 ounces (2.8 kg). Realistically, one can assume that the true figure is at least twice that of official figures because large finds are never declared publicly. Even today, large nuggets turn up inside this Golden Triangle. Only three years ago, a massive 4.1 kg nugget was unearthed.